As much as I don't follow a particular religion, I do find religious festivals so fascinating. 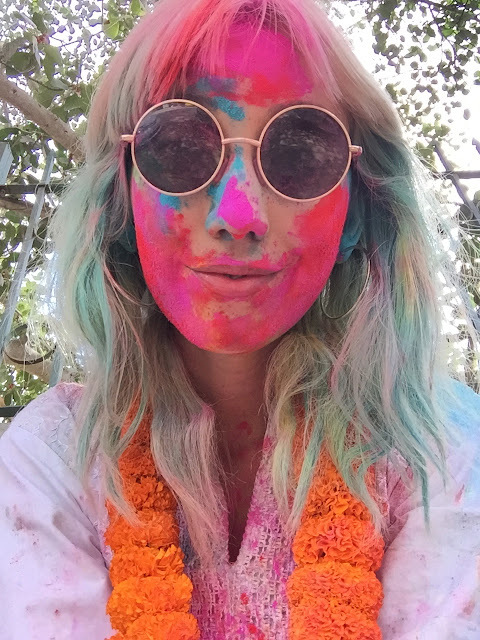 I love how these festivals bring people together, giving family and friends an opportunity to come together to be thankful for something that has happened or is anticipated. 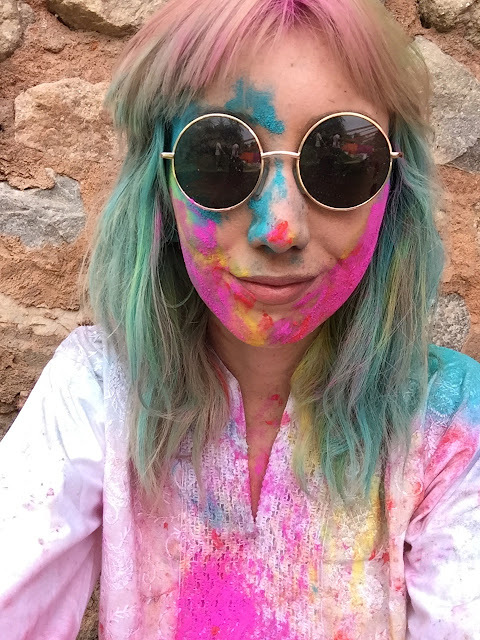 The Holi Festival, is a beautiful Hindu festival I have been inspired by for many many years. 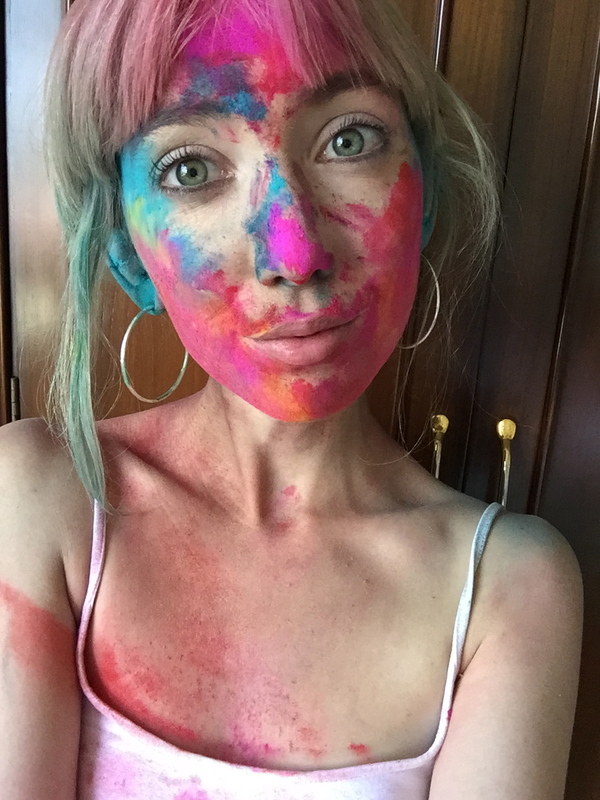 This festival, commonly known as the Festival of Colours, celebrates the becoming of Spring with gatherings of people throwing the colours of the season at one another in rejoice. 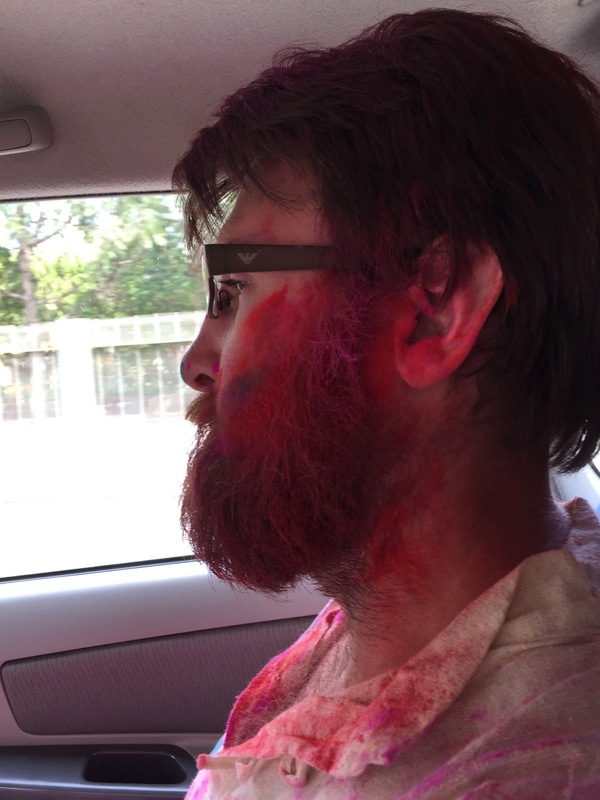 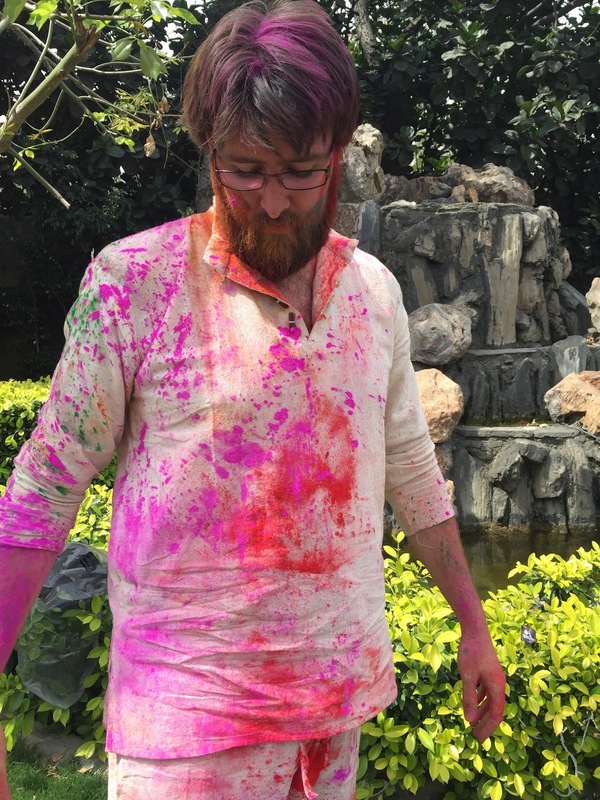 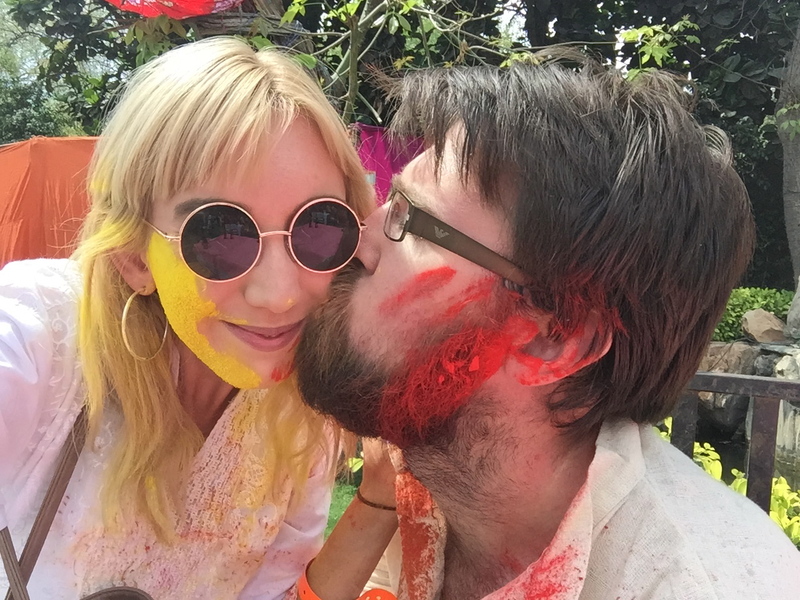 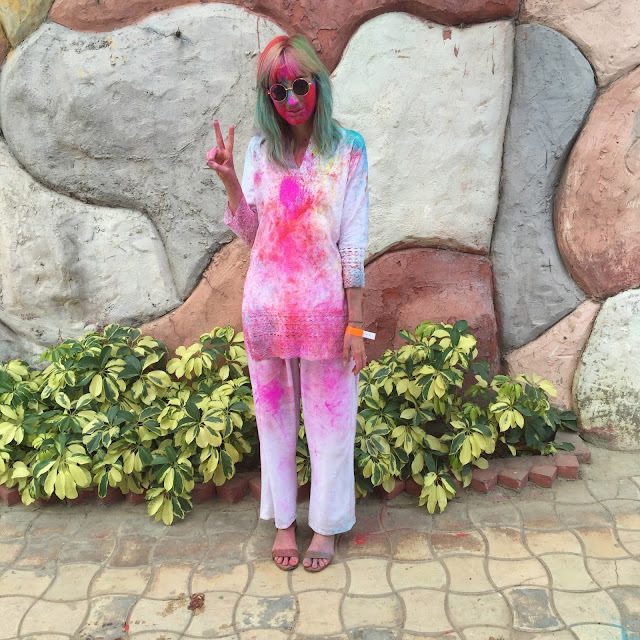 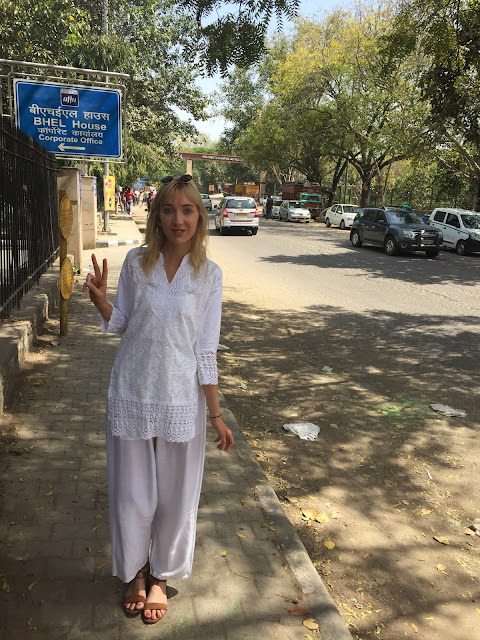 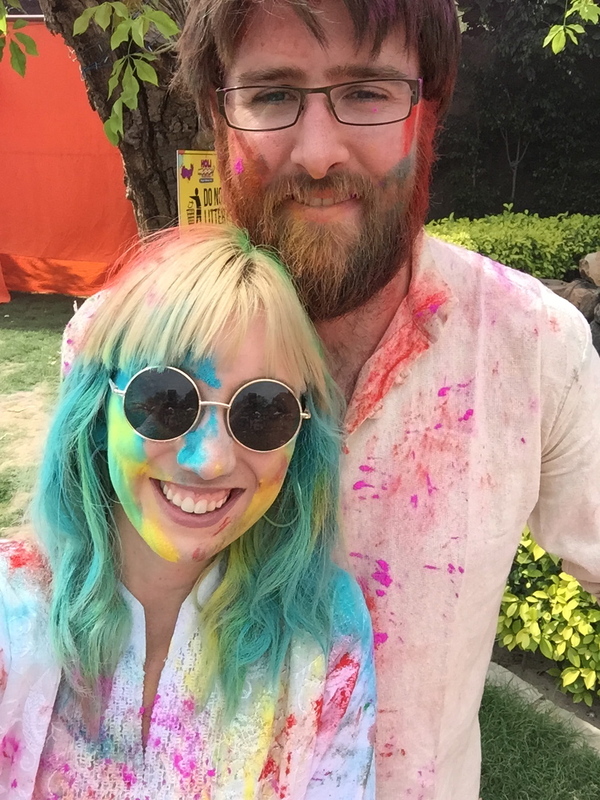 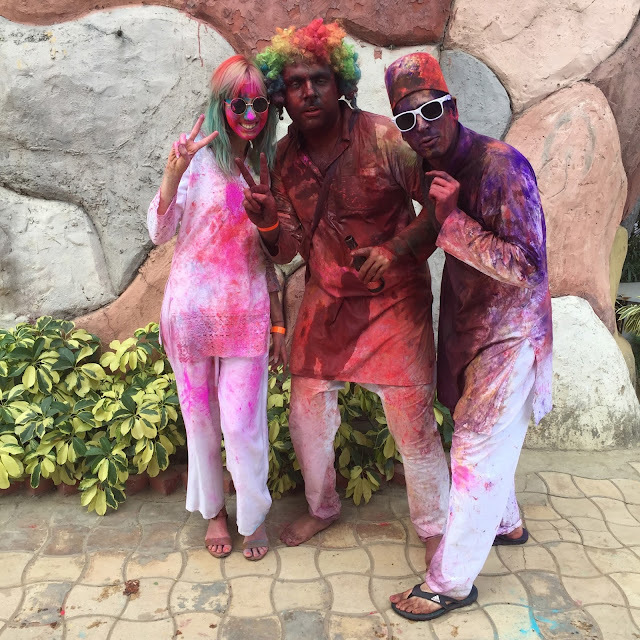 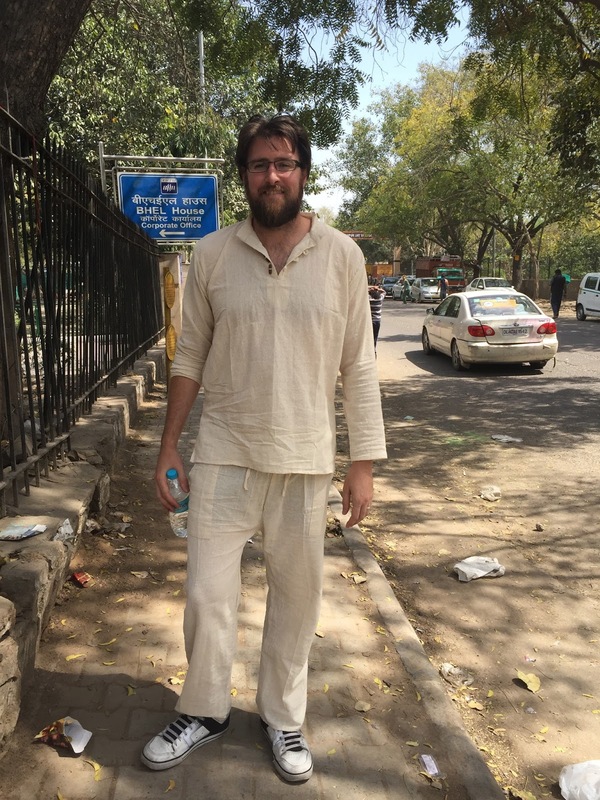 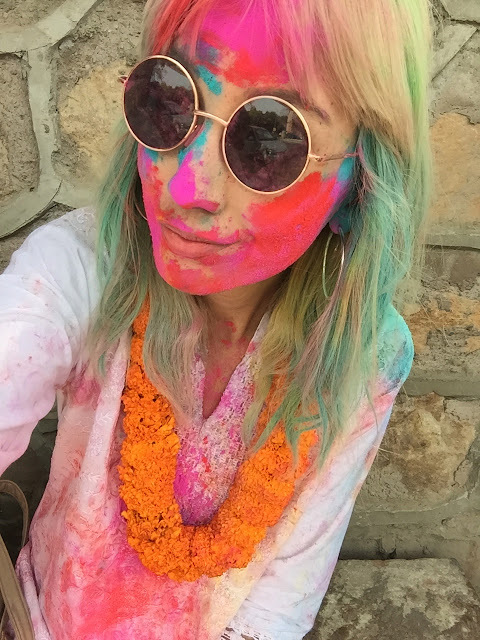 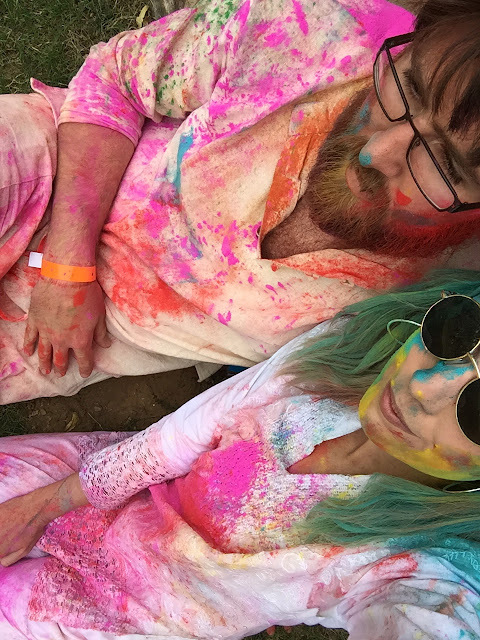 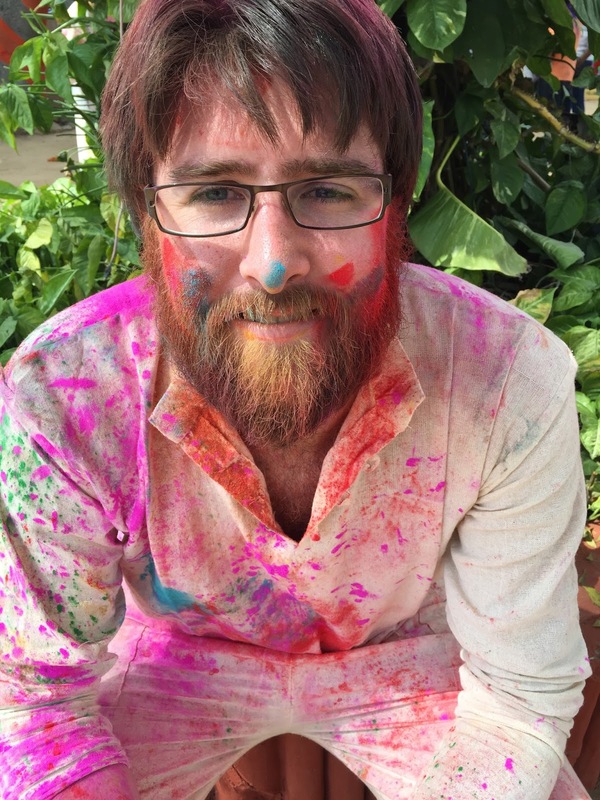 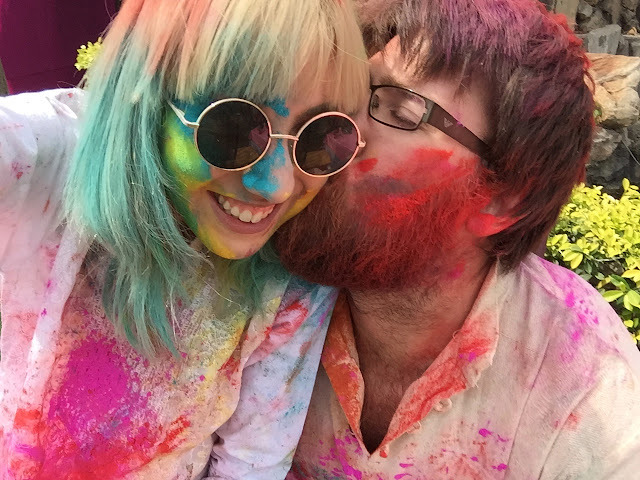 During our trip to India in March we were able to experience this festival in New Delhi, at a music festival called "Holi Moo." 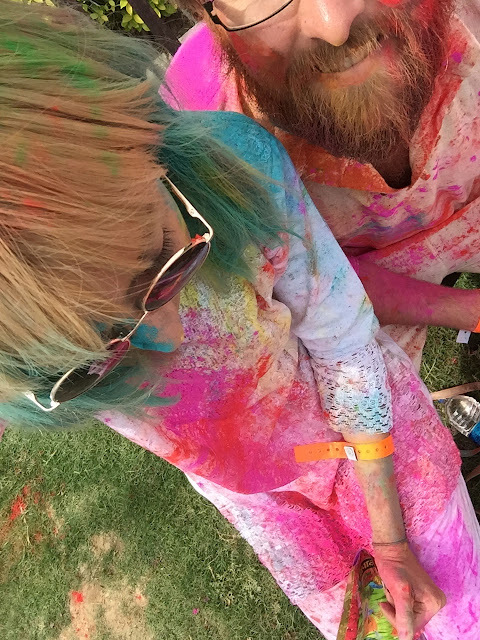 Oh smack! 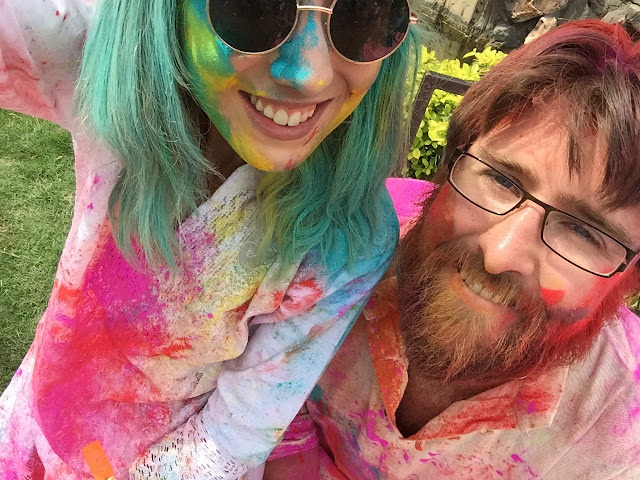 It was fantastic and by the end of the afternoon we were well and truly covered in the colours of the rainbow. 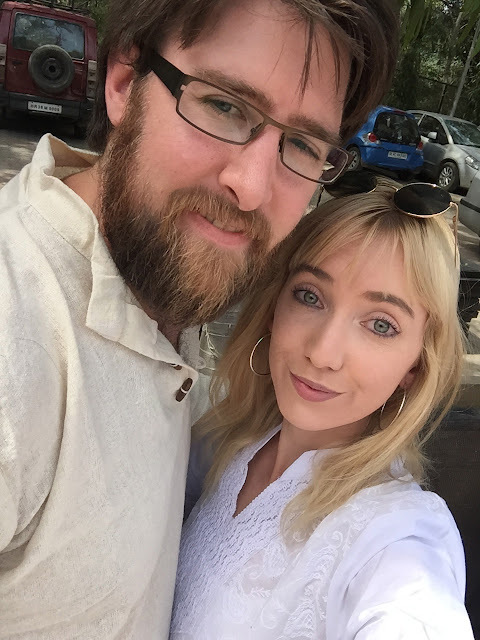 I started going through my photos and decided that I wanted to share more than I usually do, and lots of selfies (sorry not sorry).